One of the four original diagonal streets of the 1821 plan for Indianapolis, Indiana Avenue tells an important part of the story of African American life in Indianapolis, much of which was centered here on the near northwest side of the downtown area. 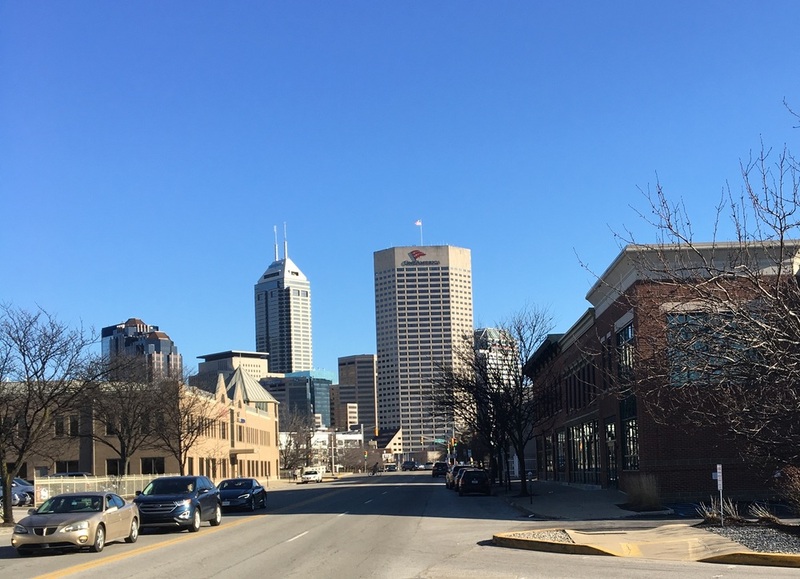 In 1860, the African American population of Indianapolis numbered only 498, but just forty years later it reached more than 15,000, with the center of the African American community already firmly entrenched in and around Indiana Avenue. While the Indiana Avenue that we see now consists mainly of commercial, housing, and university related buildings, this street contained some of the most prominent jazz clubs of the mid-1900s. Originally swampy land that was believed to be unhealthy because of its location near the Central Canal and the White River, the Indiana Avenue area went largely undeveloped until the nineteenth century when it began to evolve into an industrial center populated by mostly by white residents. Then, beginning in the 1860s following the Civil War, African Americans migrating north into Indianapolis and facing segregation settled on this stretch of land. Before long, a thriving African American community developed, due in part to the area's geographic isolation. 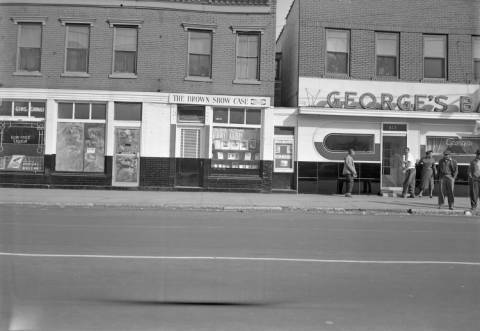 Businesses along the avenue, particularly the 400 and 500 blocks, provided food, housing, entertainment, consumer services and, most importantly, a sense of community for African American residents of the city. 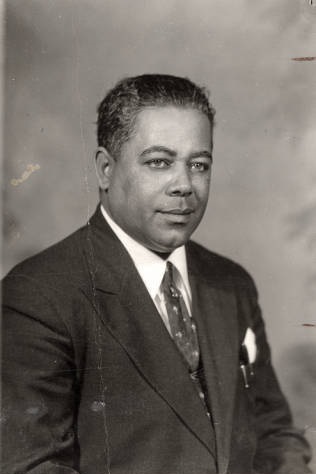 Some businesses were run by European immigrants but interspersed among those were African American owned businesses. By the late 19th and early 20th century, more and more African American business owners, residents, and consumers frequented Indiana Avenue. Because segregation and prevailing negative attitudes towards African Americans defined this era, the residents of Indiana Avenue had to become self-sufficient and provide for their basic needs. The Indiana Avenue of the 1920s provided goods and services for African Americans not admitted to downtown stores. The office of the Indianapolis Recorder was also located along the 500 block of Indiana Avenue from 1920-1975. Established in 1895, the Recorder is the third oldest black newspaper in the United States. 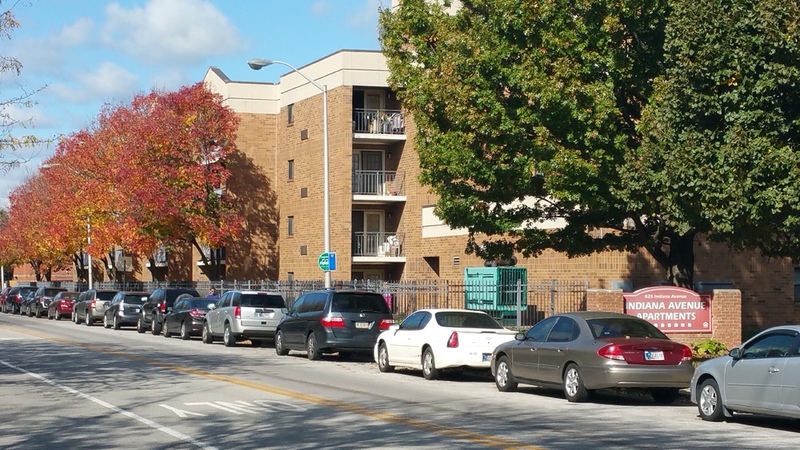 Residential areas like Ransom Place were nearby and helped foster a neighborhood atmosphere. People could walk to their destinations and such foot traffic helped to add to the liveliness of the area. 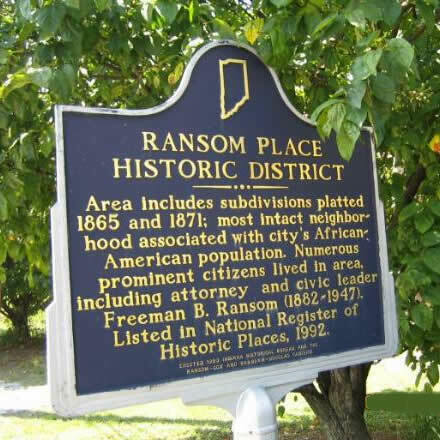 Ransom Place was also home to several prominent local black professionals such as doctors, attorneys, and politicians. Perhaps the most influential and dominant aspect of life on Indiana Avenue for the first half of the twentieth century was its lively nightlife and music scene. When jazz began to emerge in 1915 as a popular musical form, rooted in African American culture, Indiana Avenue stood poised to play a major role. Many of the jazz bands from Chicago and New York that flooded the radio strongly influenced local jazz bands of the Midwest. The 1930s not only brought with it the end of prohibition, but a great increase in dancing and nightclub life. 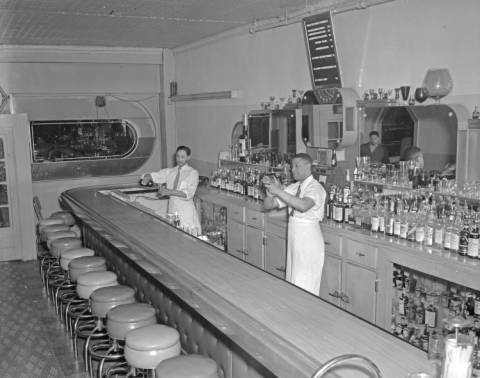 At the time, Indianapolis’ only clubs were spaces open only to whites. 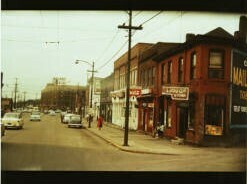 However, clubs for African Americans soon began to open up near and on Indiana Avenue. Helped along by brothers Denver and Sea Ferguson, who owned several clubs and a booking agency, Indiana Avenue, also known as “The Avenue”, hosted national names like Duke Ellington, Ella Fitzgerald, Louis Armstrong, and Count Basie, and cultivated local talent like Noble Sissie, Errol Grandy, Wes Montgomery, and Jimmy Coe. As a result, Indiana Avenue grew into one of the premier music scenes, rivaling other larger cities like Chicago and Kansas City. The cultural identity created by segregation led to the Harlem Renaissance atmosphere of the area. 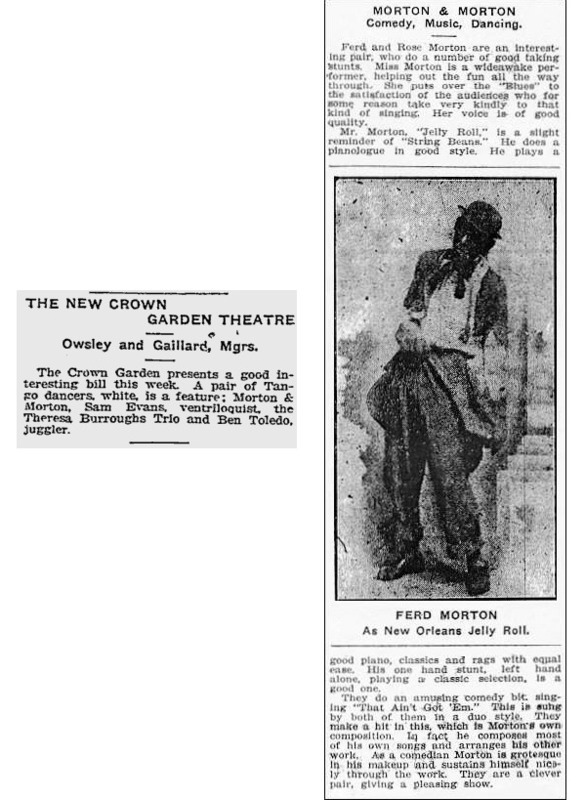 In 1931, Sea Ferguson opened up the Trianon Ballroom on 244 West Vermont St. The Recorder called it the finest ballroom in Indiana. The ballroom featured jazz orchestras such as Spaulding’s Brown Buddies, Zack Whyte, and Bernie Young. 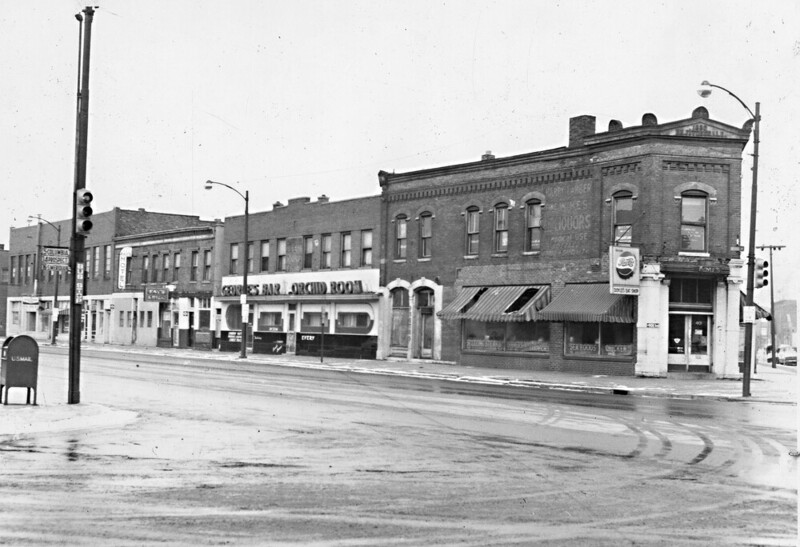 By 1940, there were over 25 clubs on Indiana Avenue and, it became a stop for many African American acts. 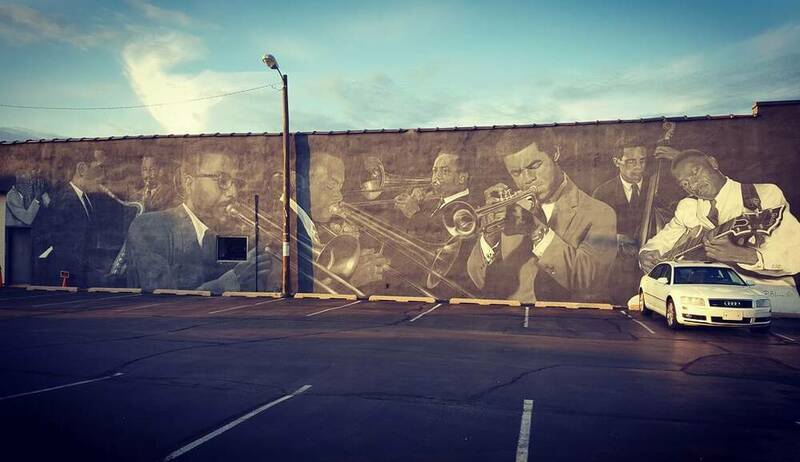 Musicians like Freddie Hubbard and J.J. Johnson (among others) made Indianapolis a regular stop and developed a derivation of jazz known as “Indy Sound.” Numerous jazz clubs planted roots in the area, including The Cotton Club, George’s Bar, Henri’s Cafe Lounge, Dee’s Paradise Ballroom and probably the most well-known, Sunset Terrace. Located at 511-513, George’s Bar regularly supplied late-night jazz enthusiasts with jam sessions. 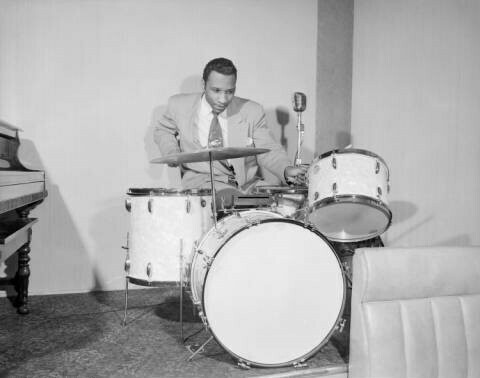 Hosting such acts as Les (Count) Fisher—nicknamed by mentor Count Basie—and soon-to-be jazz greats like Freddie Hubbard, George’s consistently brought in both Midwestern black and white audiences. 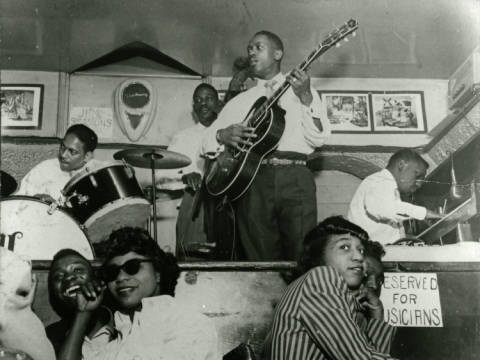 Local bands like guitarist Wes Montgomery and his brothers often kept patrons of all ethnicities enthralled at George’s. 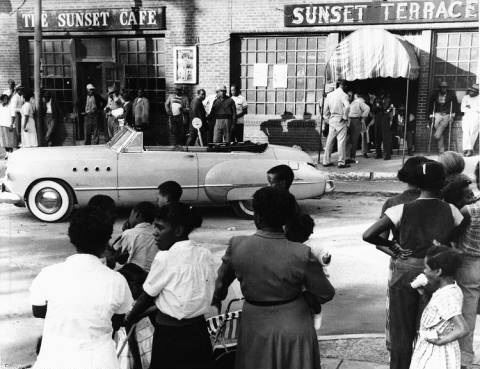 The jazz clubs on Indiana Avenue were some of the few places that had a racially mixed crowd at this time. This integration caused controversy, and some saw the clubs as an inappropriate environment for whites. After a couple of club raids, there was an increase in police presence and violence that created a bad reputation for the club scene. By the 1950s, the clubs had not disappeared but dispersed to areas outlying Indiana Avenue. As the Civil Rights Movement progressed, expanding job opportunities and housing availability pulled and pushed residents from the Avenue, and its jazz scene vanished. While the Walker Theatre continues to anchor the district’s entertainment scene, it primarily performs formal large-scale productions. Many have aimed to keep the memory Indiana Avenue jazz alive. 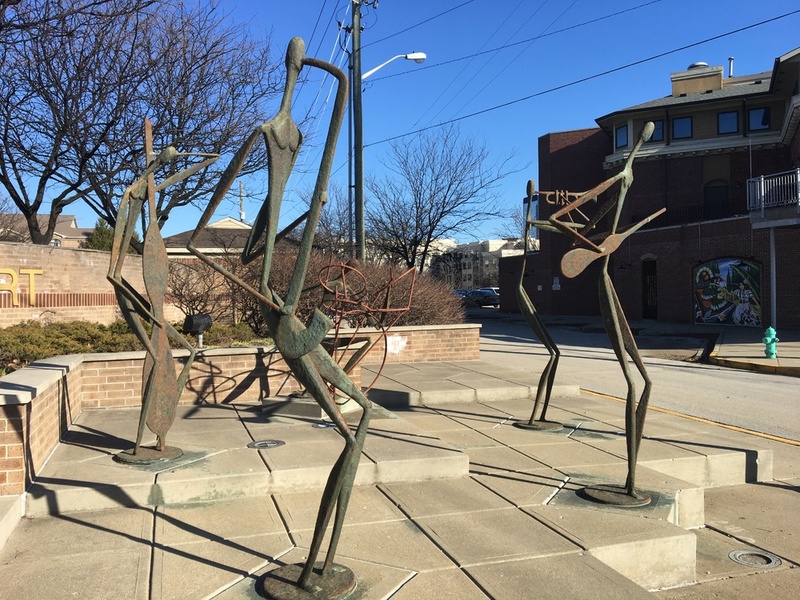 For instance, “Jammin’ on the Avenue,” a sculpture created by John Spaulding in 1989, stands on Indiana Avenue at the south entrance of Lockefield Gardens, commemorating the scene that used to be. An Indiana Historical Bureau historic marker also resides at the intersection of Indiana Avenue and Martin Luther King, Jr. Street to commemorate the site’s history. 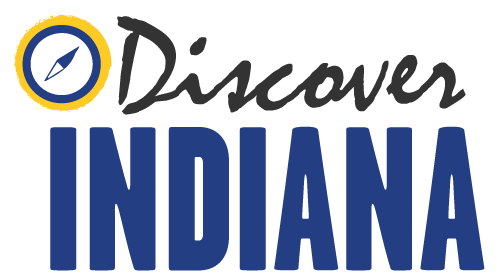 Braden Catt, Carey Nigh, Jonnie Fox, Indiana Division of Historic Preservation and Archaeology, “Indiana Avenue,” Discover Indiana, accessed April 25, 2019, https://publichistory.iupui.edu/items/show/242. Published on Jan 22, 2018. Last updated on Apr 2, 2019.